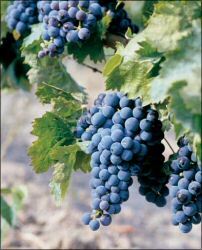 Carignan is a grape that’s used in a higher proprotion in wines from the Languedoc than from the Rhône valley. Its intensity can pose interesting technical issues for winemakers. In my last post, I promised I’d write about the AOC wines from the Languedoc, which I tasted in April as part of a group invited by the wine producers of the region. While I enjoyed many of them, and am considering buying a few, my overall impression — both as a wine merchant and a wine drinker — was disappointment. You know I’m not shy about telling you when I don’t like something (sometimes at great length). In fact, I have been (gently) chided in the past for approaching nearly any situation looking for things to dislike. But honestly, I was excited to try the Languedoc AOC wines. As I explained before, the Southern Rhône Valley and the Languedoc AOCs use most of the same grapes: Grenache, Syrah, Carignan, Mourvèdre, and Cinsault for the reds, and Viognier, Clairette, White Grenache, Marsanne, Roussanne, and Bourboulenc for the whites. I love Rhône wines and was particularly looking forward to tasting wines that had a higher percentage of Carignan and Mourvèdre than their Rhône counterparts, where those grapes usually only make up five to 10% of the total blend. Plus, as I mentioned before, the Languedoc is a paradise for growing wine grapes, so I was interested in seeing how that would play out. Unfortunately, I can taste greater variation in wines from two of my Rhône producers making wine a few kilometers from one another in the same appellation than I could in most of the Languedoc AOC wines I tried on the trip. And the few of those upper-echelon AOC wines that did stand out to me were more expensive than I can afford as a merchant, because they’d have to sell for more than I think most of my customers would be willing to pay for them. I’ve admitted to a bias toward Rhône-style wines many times, so I was leery about jumping to a verdict too soon. 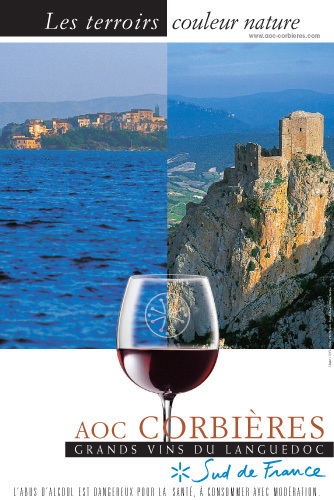 But last week one of my fellow Languedoc travelers wrote a blog post that said pretty much the same thing I was thinking about Languedoc AOC wines. Trevor Bernatchez manages one of the stores of the Boston-based wine shop Urban Grape, and he probably tastes a wider variety of wine in a week than I do in a few months. So I think I can say that my prejudices aren’t at work here, and can discuss the good and the not-so-good about the week’s tasting. First, the good. My favorites among the AOC wines were the appellations of St. Chinian and Grès de Montpellier, followed by the Pic St. Loup wines. In general, they had the nicest balance between fruit, earthiness, and astringency (from the tannins). When I looked back on my notes, I also found that these were the red wines that had the least amounts of Carignan and Mourvèdre in them, and were majority Grenache and Syrah. So this is the point where I have to devolve into winespeak, because the use of Carignan and Mourvèdre in the Languedoc isn’t necessarily straightforward. They’re pretty intense grapes, both in color and tannins, plus they can have distinct flavors of clove and allspice (at least in my opinion). 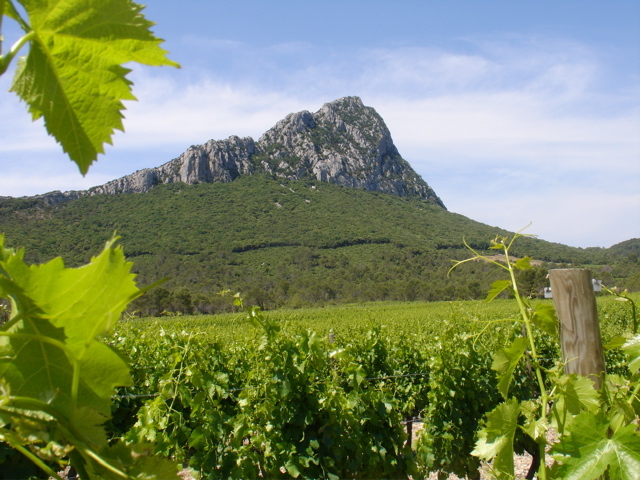 They play a prominent role in wines from some of the AOC designations like Corbières and Fitou. While you can find 100% Mourvèdre and Carignan wines from California, where they have a kind of Zinfandel character, they taste completely different than their French counterparts. French Carignan and Mourvèdre require special handling to soften them up, whether by aging or other means. The results can be brilliant — we tasted some Carignan from 110-year-old vines that one of the winemakers had aged for five years and bottled to give us an idea of the grape’s potential. I’d happily drink that again anytime. There’s no need to buy novelty purple zombie teeth for your next party — just drink some wine made by carbonic maceration. But the really unfortunate thing, as far as I’m concerned, is that it’s not even as effective as it’s meant to be. Many of those 2010 and 2011 reds we tried weren’t ready to drink yet, even with the carbonic maceration. At first I thought maybe this was just a fluke of those particular years. But some of the winemakers brought their 2007 – 2008 vintages as an example of the aging potential of the wines, and they were better, with more individual character. I guess the winemakers have decided it’s worth doing the carbonic maceration, but I’m not so sure how much time and expense they end up saving. Either way, as a wine merchant, I can’t buy wine to store it for at least three years before selling it. And the other issue was price — even if I could afford to cellar the wines, they’re too expensive to begin with. I figure I’d have to sell them for $30 and up even if I could sell them right away. That’s fine for an occasional splurge, but most people I know want to keep their splurges under $25, and their everyday wines under $15. I think there’s promise in the Languedoc AOC wines. I don’t want to be presumptuous, but perhaps it’s not too far out of line to suggest that some of the 2007 rules that created the higher Languedoc AOC classifications might need tweaking. The older wines I tasted suggest to me that there’s the potential for something very good. The trick is going to be balancing producing those wines and ones that can generate more income for producers right away. In the meantime, as I mentioned in my last post, there’s plenty of wine made that’s outside the top AOC designations that costs a lot less — much of it made at wineries that also make those cru wines. Sometimes it’s because the winemaker wants to use grapes not allowed under the AOC rules. But other times, the winemaker has AOC-approved grapes that come from land not approved by the AOC. It may be because the soil isn’t quite the same as on other parts of the winemaker’s land, or because the vines are younger and the yields per acre are higher. Still, they’re getting the good winemaker treatment and who can object to that? Almost every producer we met at the tastings had some of these wines for us to try “under the table” since the purpose of the trip was specifically to try their AOC wines. Many of these Vin du Pays wines were excellent. It’s kind of fun that the Languedoc, the region that gave rise to the Cathar movement that challenged Catholicism back in the 12th – 14th centuries, is also home to winemakers who are looking to do their own thing. I’m making decisions now on wines to buy, and I hope to bring a little bit of heresy over before the end of the summer! One of the joys of living in DC is that we can go to programs and events that the embassies and international cultural institutes put on for the public. Cy and I live around the corner from the Mexican Cultural Institute, which hosts great art exhibits, concerts, and lectures. Last week we went to a cooking demonstration and dinner there presented by Pati Jinich, host of Pati’s Mexican Table on PBS. If you’ve seen Pati’s TV show, you know that she’s a master at explaining Mexican dishes and ingredients, as well as traditional and new cooking techniques. And she does it in a way that makes you believe that nothing would make her happier than to have you make and enjoy her recipes. I’m happy to say she is every bit as friendly and entertaining in person as she is on the show. 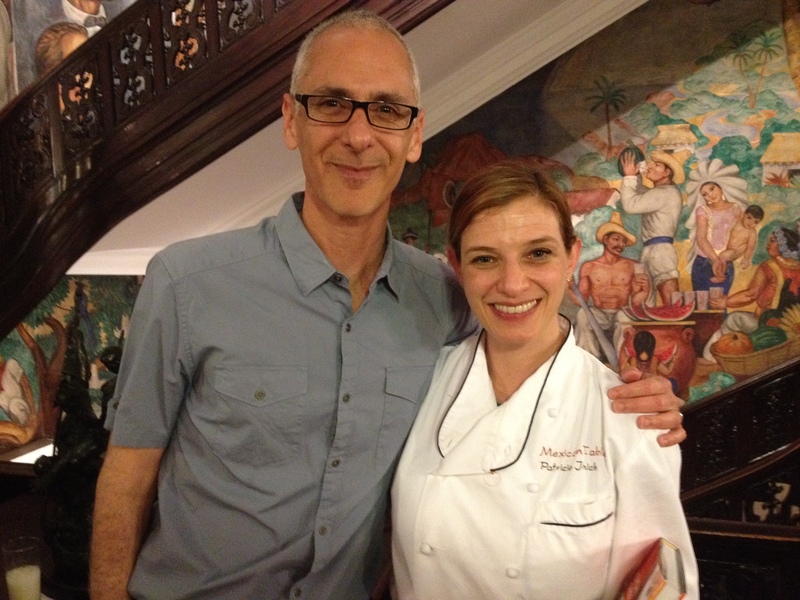 Cy with Pati Jinich at the Mexican Cultural Institute in DC. Pati is the official Chef there, and is also the host of “Pati’s Mexican Table” on PBS. In 2007, Pati started Mexican Table, a series of culinary programs including talks, cooking demonstrations, and tasting dinners, at the Mexican Cultural Institute, where she’s the official Chef. She’s doing three programs this year, and last week’s was titled “The Asian Influence in Mexican Cooking.” We don’t necessarily think of Asian flavors as part of Mexican food, but like all world cuisines, Mexican cooking has changed and adapted, incorporating ingredients from lots of other countries and regions. With Mexico as the central stop on the Spanish spice trade route to Asia, it was only natural that there would be an exchange of ingredients and techniques, a process that accelerated in the 19th and early 20th centuries as people followed along with their foods. One of the dishes Pati showed us how to make was a chicken cutlet with an ancho chile and tamarind dipping sauce. The sauce is phenomenally good, and you could use it with turkey or pork, as well as grilled hearty fish like swordfish. I asked Pati for permission to reprint her recipe here, and she graciously agreed. Tamarind is an ingredient used in Latin American and Asian cooking, it’s tangy and fruity. Ancho chiles are dried ripe poblano chiles, and they’ve got a little bit of chocolate-y richness to them, along with very concentrated fruit flavor. The combination of the two gives you sour, sweet, and bitter components, which, combined with the salt and sugar in the recipe make for a great taste experience. Try the sauce with chicken, turkey, pork, or fish — and serve Cave la Romaine Viognier ($16) with it. The wine’s floral component adds another dimension to all the flavors in the sauce, plus it’s got just the right crispness to be refreshing. There are French influences in Mexican food too, so why not have French wine with your Mexican-Asian meal? Fusion doesn’t have to come just from the food itself, after all! This entry was posted in Languedoc wines, Mexican food, Musings/Lectures/Rants, Pati Jinich, Pati's Mexican Table, Tom Natan, Uncategorized, wine delivery washington dc and tagged Ancho Chile and Tamarind Sauce, AOC Languedoc Wines, Cave la Romaine Viognier, French wine, Languedoc wine, Mexican Cultural Institute DC, Mexican-Asian food, Pati Jinich, Pati's Mexican Table, Tom Natan, wine delivery washington dc. Bookmark the permalink.